One of the most overlooked, yet valuable, home services is AC maintenance. Properly maintaining your AC system is one of the best decisions you can make to protect one of the most expensive investments for your home or business, and at Caldeco Air Conditioning & Heating, we offer a wide range of AC maintenance programs to keep your system in top condition. Don’t trust just any AC contractor with your air conditioning maintenance. Choose the Hometown Experts at Caldeco Air Conditioning & Heating. We recognize the importance of comprehensive maintenance and provide several maintenance programs to suit nearly any schedule or budget. AC Check-Up: For new customers who have not had their equipment serviced by our team or previous customers who have not required service in 3 years or more, we offer our AC Check-Up, which includes electrical testing, component checks, lubrication, temperature inspections, and more. Available for one low price, this is a great way to get a health check on your existing unit. Precision Tune-Up: Our Precision Tune-Up comes with a 100% Satisfaction Guarantee and is designed to keep your unit operating at peak performance levels. 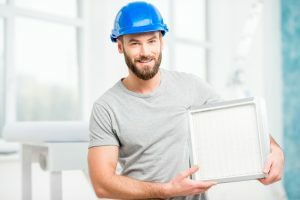 Not only will your AC contractor inspect all of the same items as they do during our AC Check-Up, but they will also complete a total cleaning of the blower assembly, coils, and more. Platinum Plan: For those who want regular AC service but aren’t prone to remembering to schedule appointments, we offer our convenient Platinum Plan. With this plan, you can rely on Caldeco Air Conditioning & Heating to contact you when you are due for air conditioner maintenance. Better still, Platinum Plan members enjoy a 15% discount on repairs, priority scheduling, FREE overtime, and more. Caldeco Air Conditioning & Heating is a reputable AC contractor that you can rely on for all of your AC maintenance needs. In addition, we offer AC repair, new system installations, air filtration, duct cleaning and more. We gladly serve those in Westchase, Brandon, Pebble Creek, Clearwater, and elsewhere throughout Central Florida, so if you need AC maintenance, contact Caldeco Air Conditioning & Heating today.